How do you say goodbye to a loved one when you know this will be the last time you see them on this earth? How do you prepare your children for the death of a beloved family member? Dying is inevitable, none of us will live forever, but it doesn't make it easier. Last Monday, on December 20, 2010 we lost my husband's grandma JoAnn. It was a tough blow to take. My husband was close with her, my kids were close with her, I adored her. 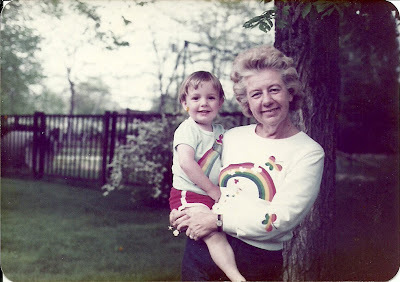 We had just lost my husband's mother a year earlier and it seemed to make this even harder to deal with. 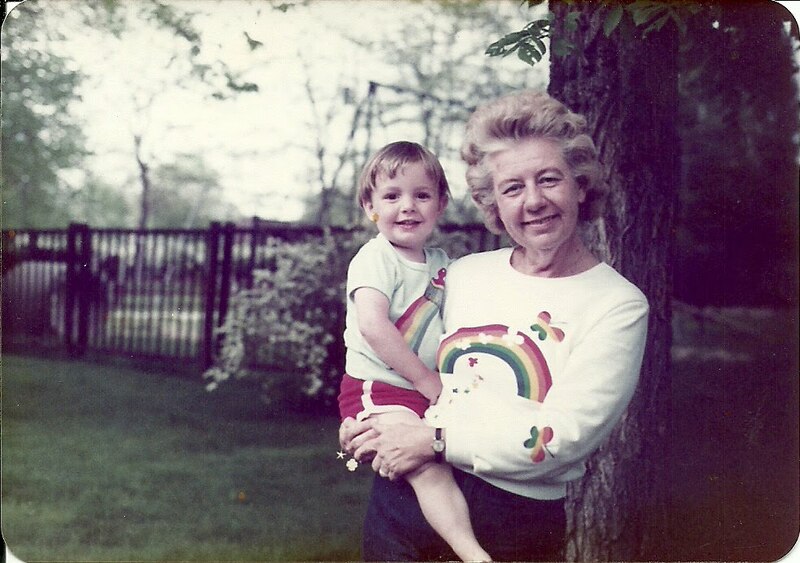 JoAnn was a loving grandmother to my husband and to my children and doted upon them day in and day out. Nothing brightened her day more than seeing the children. My kids spent a lot of time with her, weekly family dinners, babysitting when she was in better health, just stopping by to check in on her and say "hi". 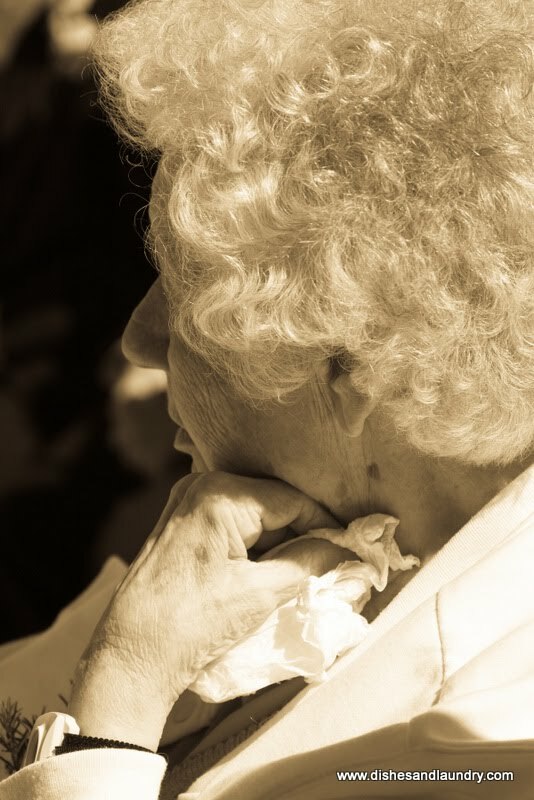 She was 82 when she passed away and lived a very full and happy life. 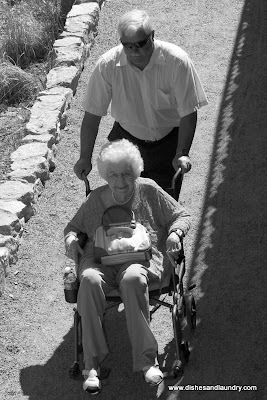 She was a joy to be around and I very much enjoyed spending time with her. We will all miss her very much! 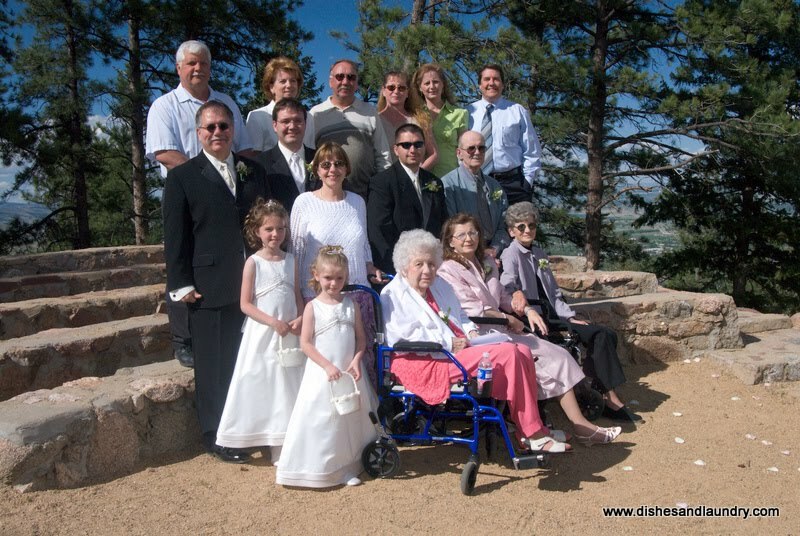 Our Wedding, May 24, 2008, Photo of all Nate's grandparents, aunts, and uncles. Grandma JoAnn is up front with the pink pants and white sweater, next to Wynter and Phoenix, Nate is two rows back, next to his dad.